Do fat talk and self-compassion affect women’s healthy eating habits? A recent study examined self-compassion and fat-talk and their effects on motivating health and healthy eating habits in women. Struggles with weight are a daily concern for many people. Rising problems with diet and weight are leading to increased incidents of cardiovascular illness and type 2 diabetes. Understanding and changing the factors that contribute to unhealthy eating patterns of such as high consumption of fried fatty foods and binge drinking in early adolescence can help change the negative effects on health in adulthood. 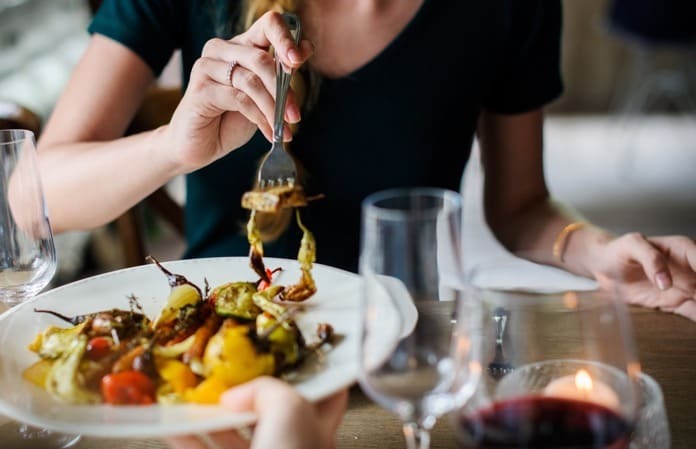 In a recent study published in the Journal of Health Psychology, researchers discussed psychological factors affecting healthy eating habits such as self-compassion and fat talk. The-Self Determination Theory proposes that unhealthy eating is due to problems with goals and motivation in individuals. This theory states that an individual has external goals and internal goals. External goals include factors such as an individual’s outer appearance since these goals are met through external praise from others or external standards set by society and peers. Intrinsic goals such as health goals are about feeling self-confident and self-actualised. These are meant to pursue personal satisfaction and good health. Self-compassion has also been a topic of much interest and is about coping with kindness, towards one’s self rather than focussing on pain and distress. Fat talk, on the other hand, is self-derogatory talk among women, which involves negative commentary about their own physical experience. Self-compassion has a positive impact on individual perception and behaviour while fat talk is damaging. In a recent study, researchers recruited 485 female undergraduates between 16 and 48 years of age from a Canadian university. The primary goal of the study was to understand what motivates healthy eating. Do women who are more health conscious and motivated intrinsically have better regulation over their eating habits? The results were quite interesting. It is seen that women who are pursuing better health are motivated by a sense of self-compassion, and work better by focusing on self-care rather than self-criticism. Fat talk, however, seeks for external affirmation from others. Focusing on self-compassion increases feelings of self-worth as it stems from a feeling of self-acceptance. Individuals with higher feelings of self-compassion do have a better sense of self-esteem and engage in proactive behaviours geared towards better health by being physically active and following a healthy diet. Self-compassion is associated with being motivated to live a healthy life and better regulation of eating because of internal reasons rather than external reasons like peer pressure or self-inflicted guilt. Limitations of the study are that self-reports examining negative and positive measures may have resulted in participants responding in socially desirable ways. The size and gender of the sample is also a limitation of the study. Future studies could focus on a more diverse set of participants and also examine other theories and interventions. Future research needs to examine how individuals pursue health goals for non-self-determined motivational reasons. For example, studies could look into eating habits due to pressure from partners, which may result in a combination of dysfunctional eating strategies as well as fat talk. The results of this study highlight that self-determined motivation leads not only to healthy eating habits but also translates into avoiding eating behaviours which are detrimental to good health. Reference: Guertin, C., Barbeau, K., & Pelletier, L. (2018). Examining fat talk and self-compassion as distinct motivational processes in women’s eating regulation: A self-determination theory perspective. Journal of Health Psychology, 1359105318781943.